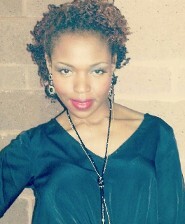 Contact Gail or Vanessie to look fabulous with Sisterlocks and Natural hair care in Houston, Texas. Gail's Hair Salon specializes in Sisterlocks services at competitive prices. We work with all hair types for any age. With more than 15 years of experience, our hair salon specialists, take pride in ourselves on the quality of our Sisterlocks services and our friendly customer care. Contact us today for further details or for an appointment for Sisterlocks.